You don’t need a sunny day to listen to great music in the outdoors. 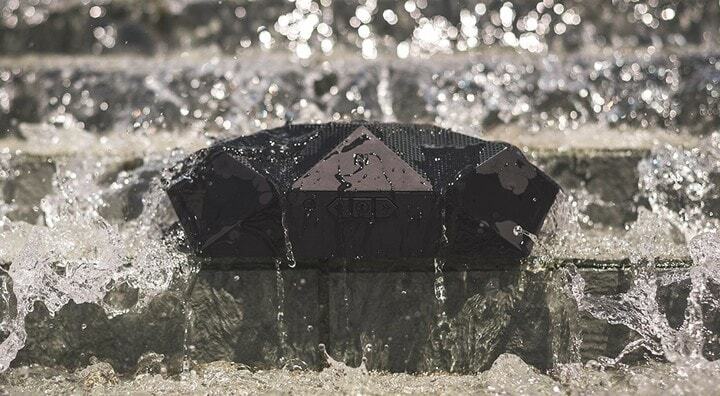 These six impressive outdoor Bluetooth speakers will work outside, regardless of the weather. The 360-degree Fugoo Tough speaker has been crafted from fiber-reinforced resin and solid aluminum. Featuring 40 hours of battery life between charges, the Fugoo Touch also integrates with Siri and Google Now. 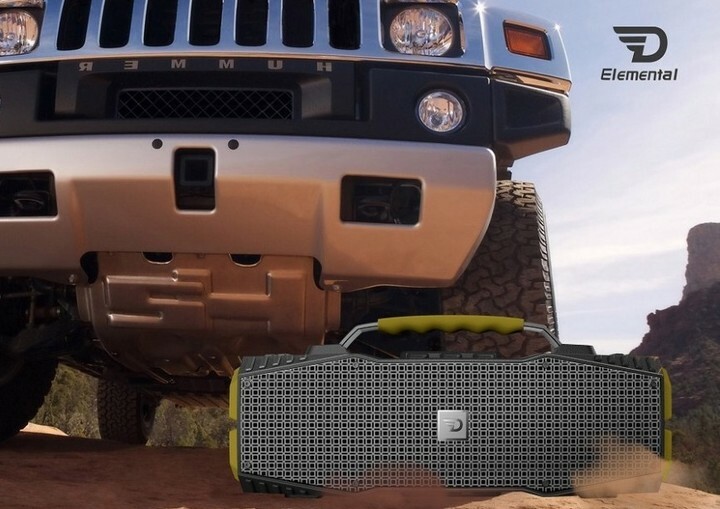 Fugoo has designed and delivered one of the most rugged outdoor Bluetooth speakers with the highest incursion protection rating of IP67. The Fugoo Tough retails for $229.99, although you can usually find it much less expensive at Amazon. A Fugoo Tough XL is available as well for those who want a larger speaker. 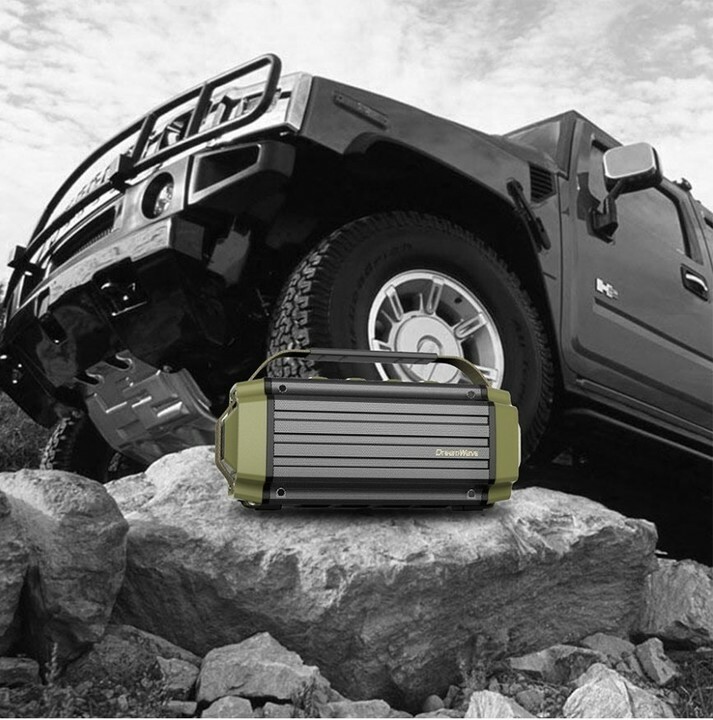 A rugged, high-performance speaker, the Tremor features a 20,800mAH lithium polymer battery, giving you up to 20 hours of music between charges. 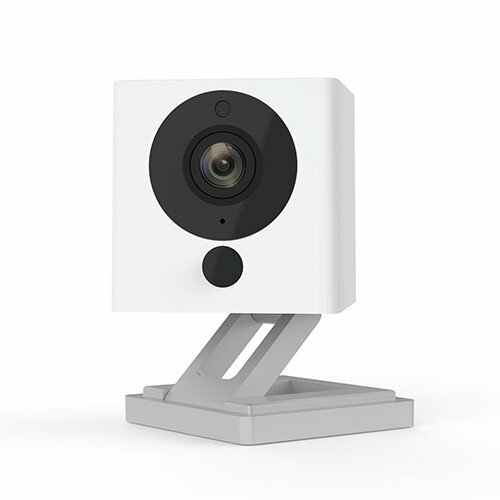 Includes Bluetooth 4.0 and NFC for easy pairing with your mobile devices. Pair two Tremors for the ultimate Hi-Fi experience. The Tremor is priced at $299.99 and available in green/black aluminum through Amazon. 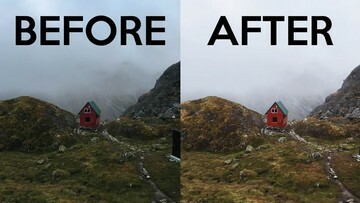 Don’t let bad weather get you down. The Braven BRV-X has been designed with an IPX7 rating. Featuring a 5,200mAH power bank, the Braven BRV-X offers 12 hours of music between charges. 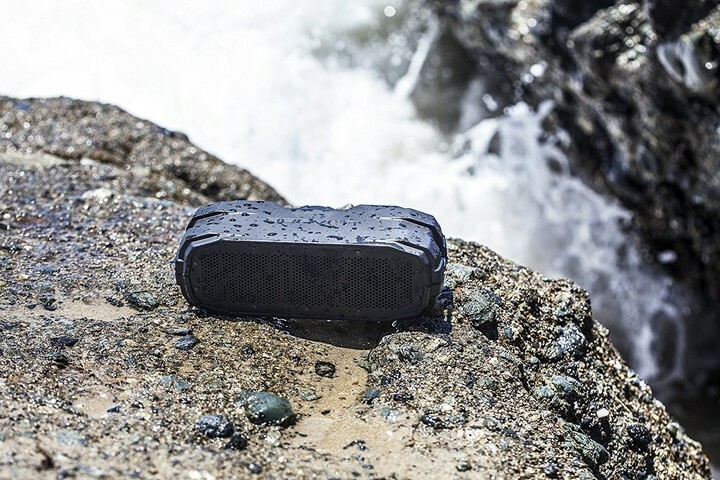 Offering an indoor and outdoor mode, the Braven BRV-X is available in black/blue/black and gray/red/black. You can pick up a Braven BRV-X through Amazon for around $150. It’s normally priced at $199.99. When it’s time to get the party started, whether it is a group of 10 or two, UE Boom 2 is the speaker you want. 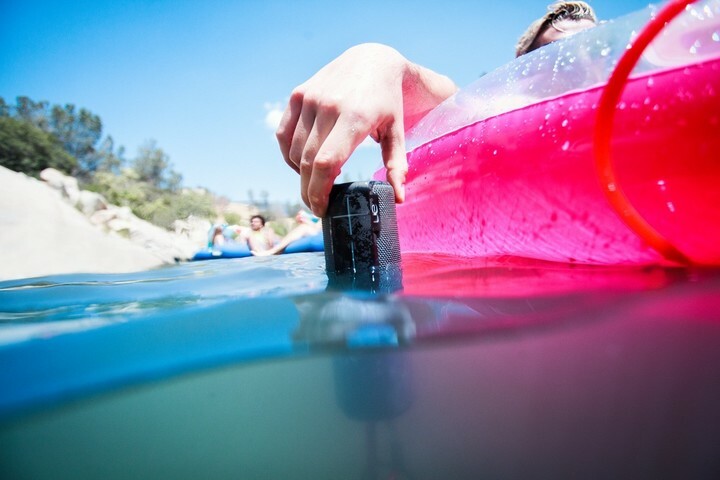 This 360-degree wireless Bluetooth speaker not only has booming, powerful sound but can be plopped into the water and doubled-up with another UE speaker to create the ultimate block party. The UE Boom 2 features a rechargeable lithium-ion battery with up to 15 hours of battery life between charges. Priced at $199.99, the UE Boom 2 is offered in various colors and available through retailers such as Amazon. The Big Turtle Shell is perhaps more famous. Nonetheless, the Turtle Shell 2.0 should definitely be considered as a lower-cost alternative. 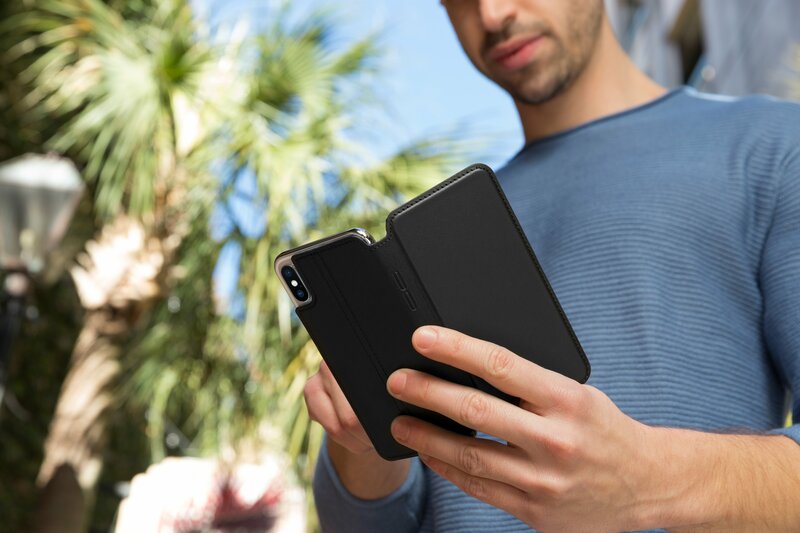 Shock proof and water resistant, the Turtle Shell 2.0 connects to any Bluetooth-enabled device with a battery life of up to 16 hours between charges. 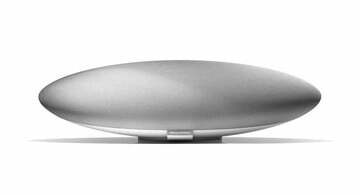 The Turtle Shell 2.0 is priced at $99.99, although it’s often less expensive through Amazon. Available in multiple colors. The Survivor isn’t just a Bluetooth speaker. It’s also a 12V car battery jump starter and 110 lumens LED flashlight. Featuring a 12,000mAH lithium polymer battery, the Survivor includes IPX5 protection against water, dust, sand, and snow. You can purchase the Survivor through Amazon for $279.99. These are currently our favorite outdoor Bluetooth speakers. 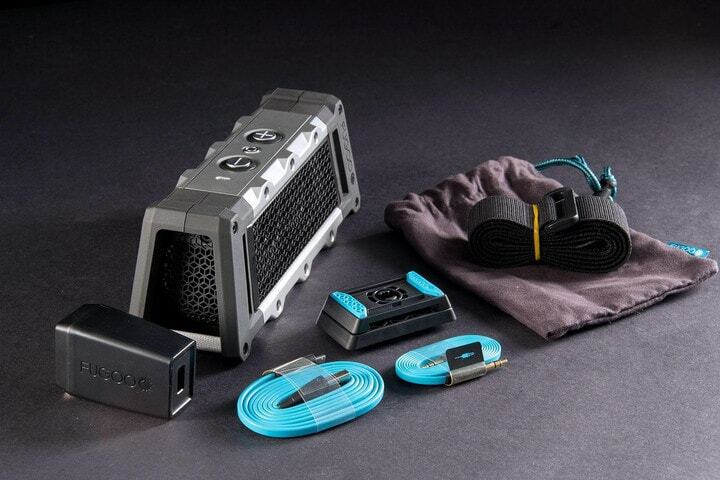 We’ll keep you updated as new and improved outdoor Bluetooth speakers hit the market.